YIT Corporation Press Release December 11, 2017 at 15:00 p.m. The leasing of the office properties of the commercial centre Dixi, located at the Tikkurila railway station, has proceeded well and major part of the premises has been leased. YIT completed the sales transaction of the second phase office properties to Etera Mutual Pension Insurance Company in December. The office properties that were completed in spring 2017 as a part of the expansion of Dixi are approximately 8,000 square metres wide. The office properties are located above the commercial centre in two separate office towers. Tenants are Barona Group Oy, Danske Bank Oyj, Metsähallitus, Onvest Oy, Senate Properties and Suomen Terveystalo Oy, among others. The office properties of approximately 6,000 square metres constructed in the first phase were sold to Etera in December 2013. 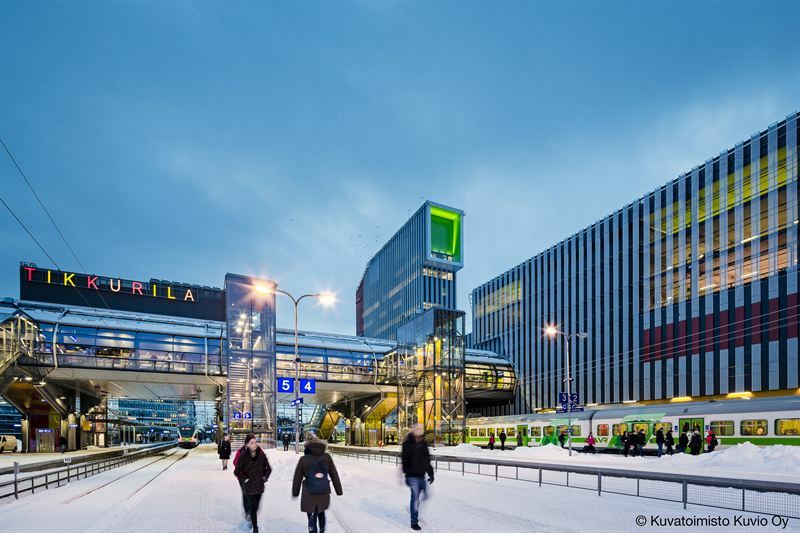 “YIT has participated in developing Tikkurila area for a long time, and it has been become a busy and modern retail centre”, says Timo Lehmus, YIT’s Head of Business Premises and Infrastructure segment. The first phase of the office properties were completed at the end of 2014 and the retail centre in January 2015. Dixi offers easy, fast shopping for customers taking the train and a daily place to shop for the area’s residents. Dixi is the first commercial centre in Finland, that has been given the LEED Platinum environmental certification.